A well-rounded setup for working in a variety of scenarios, the black FUJIFILM X-T2 Mirrorless Digital Camera with Hand Grip Kit from B&H bundles the advanced mirrorless body with the MHG-XT2 Metal Hand Grip for a more secure grip and improved handling. 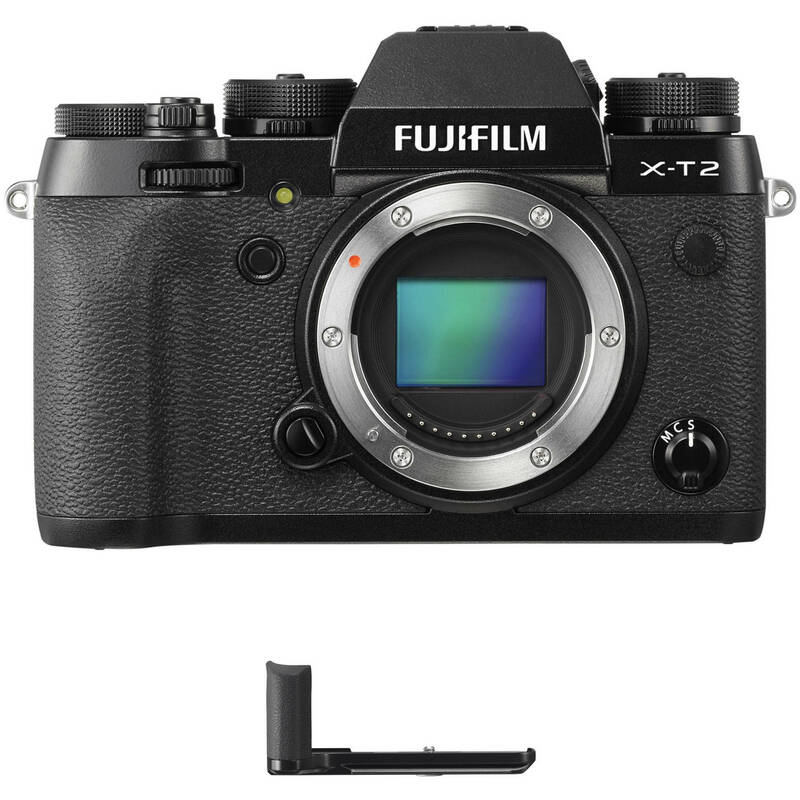 If you prefer a larger hand grip for your camera, the MHG-XT2 Metal Hand Grip from FUJIFILM provides the X-T2 with a larger, more robust grip, as well as a variety of other features. Besides enhanced handling and control, the grip provides additional clearance for the lens and the plate is Arca-type compatible. It retains access to the battery and memory card compartments and offers a tripod mount positioned on the optical axis. Box Dimensions (LxWxH) 5.7 x 2.5 x 2.2"
X-T2 Mirrorless Digital Camera Body with Hand Grip Kit (Black) is rated 4.8 out of 5 by 402.